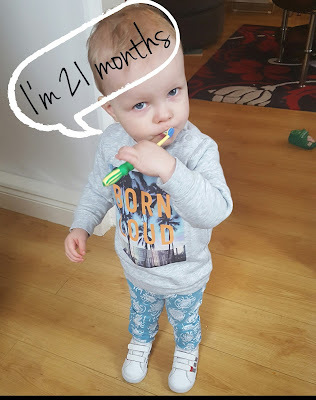 This is a really late post, Joey turned 21 months on the 19th March and I haven't actually done an update since he turned 18 months...bad mumma blogger! I haven't had Joey weighed since December but I'm not worried about his weight. Health wise he's been fine for the last month, his cold cleared up and he's no longer snotty. Maybe something to do with the vitamins he's been taking. 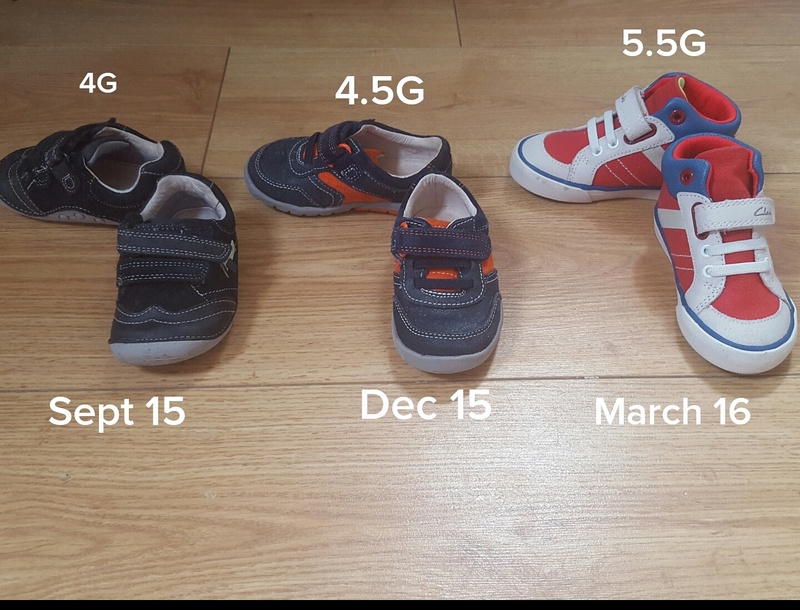 Last week we went to Clarks to get joey's feet measured and his feet have grown from 4.5G to 5.5G. Clothing wise most of Joey's summer wardrobe is 18-24 months (apart from H&M stuff) he's down to the last of his 12-18 months stuff now. I've gone into detail about Joey's sleep in a previous post, you can read here. At the moment though things are good, he's sleeping in his own room through the night. 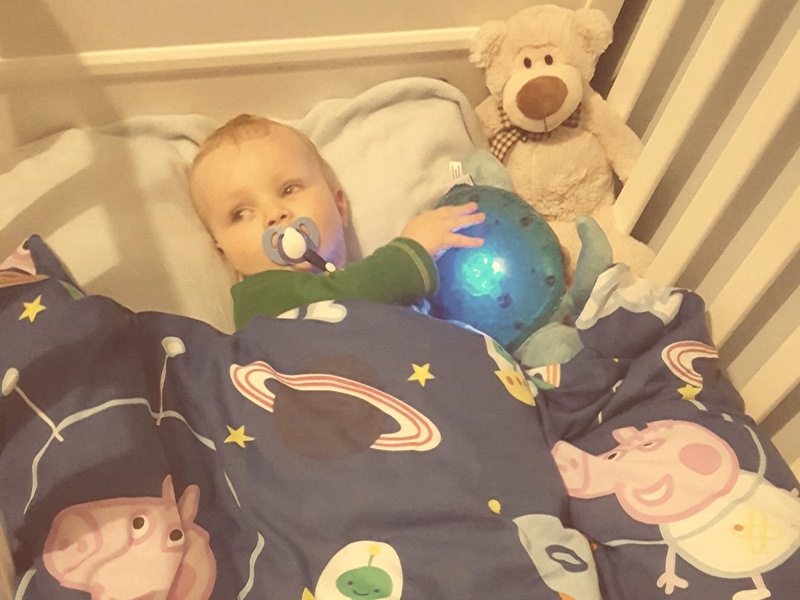 It takes just over 30mins to get him to sleep. During the day he usually has a nap around 11 or 12 and it can vary in duration but usually for an hour. Sometimes depending on what we've done in the day he might sneak an afternoon nap in for half an hour. At the moment he has 3x4oz bottles of whole milk and then a 3oz bottle before bedtime. This can vary though as I don't think he's quite bothered about missing one and he gets plenty of dairy from cheese or Yogurt during the day. One of the reasons I've been delaying righting this update is because we have still not had any words from him. He's still babbling a lot and sometimes it sounds like he's saying something but it isn't consistent. We've tried limiting the amount of time he has with his dummy to try and encourage speech but still nothing. 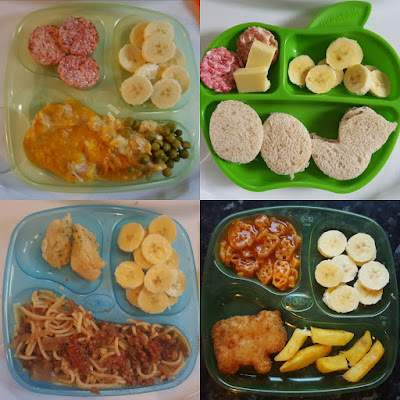 I feel a bit embarrassed as I know other children his age are saying words, I suppose we'll have to make a trip to the health visitor to see what else we can do to help. The next update that I will do is when Joey is 2 in just under two months time.